31 Days of Halloween comes to a close with Halloween Street #31: Black Cat's Tale! A black house cat, allowed out to roam just one night a year, encounters a creepy little creature and experiences his own strange adventure on Halloween night. 31 Days of Halloween continues with Halloween Street #30: Nighty Night! After a night of trick or treating, a young boy is terrified to go to sleep for fear his candy will attract monsters. I know Amazon has been having technical issues the last several days, so I just want to mention again that #30 in the Halloween Street series seems to be delayed in the publishing process. It's almost 8pm where I am (I think Amazon works on PST though), and the story may not be up til tomorrow, along with #31. I'm gonna send them a quick email as that seemed to help push things along the last time, but I'm not sure how much it'll speed things up. I'll post again when the book is up. 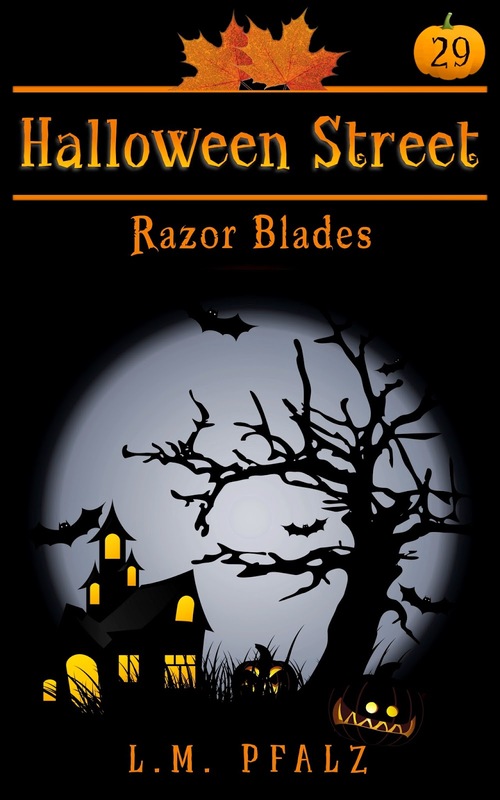 31 Days of Halloween continues with Halloween Street #29: Razor Blades! After a child gets injured from a razor blade found in his candy, a nurse investigates who did it. 31 Days of Halloween continues with Halloween Street #28: Lost! Thirteen years after the disappearance of her sister, a young woman returns to Halloween Street to finally discover the truth of what happened to her. Oy, here we go again. Amazon's publishing services have been down all night, so I wasn't able to publish the next Halloween Street story yet. . It's now 7am here, and I've been up all night, so I'm gonna go get some shut-eye and try again later. Hopefully, it gets sorted out and there won't be any major delays. In the 2+ years I've been publishing, I've never seen this happen before, so I don't know what to expect. We're down to the final four stories, so if I see any huge delays going on with the next story, I'll just publish the last three ASAP. I kind of hope it doesn't come to that, as I feel like it might spoil the whole 31 Days of Halloween idea, but I'm at the mercy of Amazon, and I definitely want the stories to be released in time for Halloween. Just gotta wait and see what happens. UPDATE: Well, it's 10pm right now where I am, and #28 in the Halloween Street series is still in the process of being published and hasn't gone "live" yet. I have a feeling it won't be up until tomorrow at the earliest :( So...this sort of messes up my 31 Days of Halloween project, but these things happen. I'm trying not to dwell on it. I just hope Amazon sorts this out fast enough so that the final four stories are up in time for Halloween. UPDATE #2: Almost 5:30 am on October 29th, and #28 is still stuck in "publishing" status :( I went ahead and pulled the trigger on #29. Hoping they both go live later on today *fingers crossed*. I've been up again all night, dead tired, gonna get some sleep. I hope I wake up to two newly published books. 31 Days of Halloween continues with Halloween Street #27: The Cursed! An elderly woman collects rare Halloween treasures, but her latest find brings her nothing but bad luck. The inspiration for this story came from an auction that was up on eBay years ago for a supposed haunted/possessed teddy bear. The story behind the bear was really interesting and creepy, but whether it was true or not is certainly up for debate. It was definitely a bizarre item to see on eBay at the time, and it really stuck with me. The original listing is long gone but a lot of it is preserved here, if you're curious. 31 Days of Halloween continues with Halloween Street #26: Monster Movies! An agoraphobic young woman alone on Halloween night gets a nasty surprise while watching a monster movie marathon. 31 Days of Halloween continues with Halloween Street #25: The Abandoned House! A group of kids dare the new kid to spend Halloween night in a supposed haunted house...with dire consequences. The song featured in this story is called "The Ghost of John" (sometimes called "The Ghost of Tom") and is an old American folk song. The origins of it are a bit of a mystery, but it's a very creepy song that, for some reason, kids like me learned in elementary school. The original song consists of one verse, often sung in a round. I added a couple extra lyrics to suit my story. Long white bones and the rest all gone. Ooo ooo ooo...OOOooo ooo oo. 31 Days of Halloween continues with Halloween Street #24: Trick or Treat! A school teacher receives visits from a series of strange trick-or-treaters who seem to know her deepest, darkest secrets. This is another story like "Something Different About Them" that was originally planned as a novel. Years ago in 2000, I started a book called "Lizzie The Great" that was basically about a middle-aged woman who was beloved in her community, until a dark secret from her past reared its ugly head and everyone turns on her. It was originally supposed to be written as a drama and as a commentary for how society judges certain issues and how anyone can become ostracized. The novel never really got off the ground however, and I no longer had an interest in writing it as it was originally planned. I retooled it as a short, psychological horror story, and again, I think it stands as a stronger story this way. I think sometimes it's easier to deal with certain issues within the horror genre, as opposed to more "realistic" fiction genres, because there's an element of fantasy that distances it from the horrors of reality. In fact, I think part of the appeal of horror in general, is that it helps us face and reconcile frightening issues within our minds in a "safe" way. The horrors in fiction aren't real, even if they sometimes mirror or mimic the horrors of real life. Well, things were just going too smoothly apparently. I published the next installment of my Halloween Street series last night around midnight, like I always do, and Amazon hasn't published it yet. Now, it typically takes under 12 hours for them to publish my stories, so I don't know what the problem is. It's now 17 hours and counting. I sent them an email and hopefully it'll get sorted out before the end of the day. Just wanted to keep everyone up to speed, especially those of you who are reading the entire series! Halloween Street #24 is coming! It's out of my hands at the moment though. 31 Days of Halloween continues with Halloween Street #23: Candy Skulls! Four children are given mysterious Day of the Dead candy skulls that carry a terrible side effect. 31 Days of Halloween continues with Halloween Street #22: Caller! A woman caring for her father begins receiving strange phone calls on Halloween night. 31 Days of Halloween continues with Halloween Street #21: Haunted Garage! A young boy explores a neighbor's homemade haunted garage attraction, only to discover the horrors inside are real. One Halloween when my sister and I were out trick or treating, we were walking down the street to the next house when a cop car pulled up alongside us. We were good kids, but of course our first thought was that we were in trouble for something (probably for being too old to trick or treat :P). Of all the strange things, he stopped us to tell us about a neighbor who had a "haunted garage" attraction that we should check out. He also gave us some candy from a bag on his front passenger seat and then went on his merry way. Probably one of the oddest Halloween memories I have because it just seemed so random. My sister and I did end up checking out the "haunted garage" and it was very cool. Well worth the moment of panic of having a cop stop us on the street. This little memory served as the inspiration for this story. 31 Days of Halloween continues with Halloween Street #20: Boo! A cruel nurse who neglects and abuses the elderly patients at a nursing home, gets her comeuppance on Halloween night. 31 Days of Halloween continues with Halloween Street #19: Doyle's Village! A man obsessed with his model Halloween village soon finds himself living there. The idea for this story came from a memory I have of looking at my own ceramic model Halloween village and wishing I could live there. This moment happened years ago, when I was still pretty young and having an "anywhere but here" kind of yearning. As I thought back to this, I realized how strange a thought it was, even if it was fleeting, and decided to write this story based on it. 31 Days of Halloween continues with Halloween Street #18: Brain Eater! Three brothers ring the doorbell of a recluse who’s rumored to be a murderer that consumes human brains. 31 Days of Halloween continues with Halloween Street #17: Stalked! A paranoid housewife spends Halloween night alone...or does she? 31 Days of Halloween continues with Halloween Street #16: Something Different About Them! A teen girl meets her new neighbors, a family who share a strange deformity. 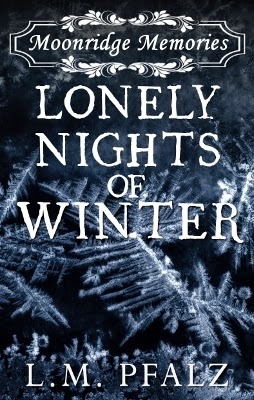 I came up with the idea for story when I was just sixteen years-old and started to write it as a novel in 1999. I only got a couple of pages in when I got stuck as to how to make entire novel out of the premise. When I started jotting down ideas for stories I wanted to include in my Halloween Street series, I remembered the early draft of Something Different About Them and decided it was time to revive the lost story. 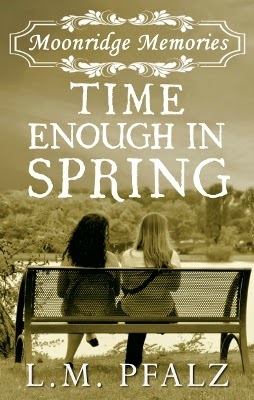 In the end, I think it works better as a short, rather than a full-length novel. 31 Days of Halloween continues with Halloween Street #15: The Scarecrow! After a night of mischief, a bully gets taught a lesson by a sinister scarecrow. 31 Days of Halloween continues with Halloween Street #14: Treat Bag! A little boy finds a magical treat bag on Halloween night that gives him whatever he wants...for a price. 31 Days of Halloween continues with Halloween Street #13: Pumpkin Carver! A lonely man and master pumpkin carver holds an unsettling secret. 31 Days of Halloween continues with Halloween Street #12: Unchained! Life imitates fiction when a horror writer's words begin to manifest and create the monster from his story. 31 Days of Halloween continues with Halloween Street #11: Retro TV! A man takes a trip back in time to a past Halloween that has haunted him for fifty years. 31 Days of Halloween continues with Halloween Street #10: Bloody Mary! A little girl's slumber party turns into a waking nightmare after a game of Bloody Mary. Bloody Mary is a well known urban legend, and a like a lot of kids, I used to play the game with my friends in my youth. The game is interesting to me because it actually kind of works. Okay, no, you don't really summon the spirit of Bloody Mary, but spinning around three times in the dark and then looking at your reflection does give you the illusion that someone else is looking back at you, even if just for a second or two. As a kid, that was usually enough to freak me out. Mirrors have always been unsettling to me, as they do seem like a gateway to a parallel world. I'm sure this stems from the multiple movies I saw and stories I read when I was young about just that, but the games of Bloody Mary probably didn't help either! 31 Days of Halloween continues with Halloween Street #9: Dollie Dreadful! A toy store sells a limited edition doll that turns its collectors into savages. When I was young, it was very common for drug stores and even grocery stores to have Halloween promotions where they would sell inexpensive Halloween themed dolls and plush toys as a way of getting shoppers. It seemed to be popular during the whole Beanie Baby craze, and stores were basically trying to cash in on the "collector mentality". This has fallen along the wayside, at least where I live, but it was something I really bought into in my youth. Back before the internet and eBay, if you missed out on a "limited edition" item, there was a real feeling of loss, because the likelihood of coming across it again was pretty low. But on the other hand, when I did find and buy something rare or possibly collectible, there was a brief "high" and excitement, but it was never very long lasting. It's the thrill of the hunt, I suppose, whereas the capture isn't quite as fulfilling as one might assume it's going to be. So, when I sat down to write this story, I wanted to explore a sort of extreme collector mentality, mob mentality, and obsession. And just as a side note, as I'm typing this I'm surrounded by many Halloween items I've collected over the years, items I deem precious, so the collector is still alive and well in me. 31 Days of Halloween continues with Halloween Street #8: Late Shift! A security guard working the night shift soon discovers he may not be alone in the building. Are the mysterious sights and sounds just his imagination...or something else? 31 Days of Halloween continues with Halloween Street #7: Night Moves! A teen couple encounter a large, monstrous beast who eats anything and everything in its path. 31 Days of Halloween continues with Halloween Street #6: Monster Mash! A Halloween party turns frighteningly real as the party guests transform into monsters. This story was written as an homage to Bobby Pickett, who co-wrote and performed of the song "Monster Mash". "Monster Mash" is a Halloween staple and has been one of my favorite songs to listen to at this time of year for as long as I can remember. When I decided to write this series, I knew I had to include a story that incorporated it in some way. It actually became a bigger part of the story than I even originally planned for, and I'm really happy I could pay tribute to a great man who kept Halloween alive and well for so many years. 31 Days of Halloween continues with Halloween Street #5: Dead Things! A gravedigger finds a mysterious book that brings his wife back from the dead. 31 Days of Halloween continues with Halloween Street #4: Graveyard Air! A group of kids spend Halloween night in a graveyard to try and raise the dead. When I was about twelve years-old, I would sometimes attempt to write songs. Unfortunately, I was never musically gifted, so the results were rather...bad. One of the earliest songs I wrote was entitled "Graveyard Air", and as lame as the song and lyrics were, I actually always really liked that title. So, I figured since I would never let that song see the light of day, I could at least recycle the title for something worthwhile. 31 Days of Halloween continues with Halloween Street #3: The Beast Inside! An abusive husband gets a taste of his own medicine on Halloween night. 31 Days of Halloween continues with Halloween Street #2: Witches' Brew! Three young sisters meet a trio of witches, who teach them that some monsters are real. When I sat down to write my Halloween Street series, I knew I wanted to draw from my own Halloween experiences and utilize pieces of my nostalgia in order to give the series a more personal touch. The title of this story is borrowed from the first Halloween song I ever remember learning, which was "Witches' Brew" by Hap Palmer. I was about five at the time, and I loved the song so much, I would sing it all the time (my sister can attest to that!). Sophie, the youngest sister in the story, is loosely inspired by my own child self (my favorite color is and always has been purple!). Halloween Street - Day 1 of 31 Days of Halloween! Well, 31 days of Halloween has officially begun! The first story is Danse Macabre, #1 in the Halloween Street series. An old woman receives a ghostly visitor on Halloween night. The original title of this story was "The Last Dance". As I was making the teaser video for the series, the classical piece by Camille Saint-Saens "Danse Macabre" had the best tone and pacing for background music, and I decided it would make a perfect title tie-in to launch the series! The music is also mentioned within the story itself. Halloween Street Series - 31 Days of Halloween Short Stories! Harold Ramis also directed a favorite movie of mine, Groundhog Day--not to mention National Lampoon's Vacation and Caddyshack. He will be sorely missed. Since I disappeared for such a long time, I thought I'd share some of things I have slated for 2014. I tend to be a tad overambitious, so these are pretty much tentative goals. I enjoy staying busy though, so I'm hoping to hit most of these goals without totally cracking under the pressure. 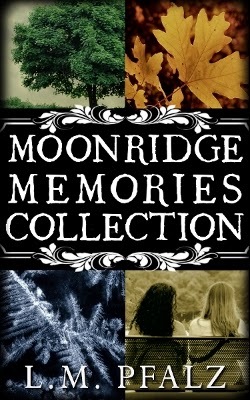 Moonridge Memories collection - been on my to-do list for ages! I want to combine all four books into an ebook collection at a discounted price. I know how cluttered ereaders can get, so a collection is a no-brainer. I'm hoping to have this done in time for summer. Print editions - ugh! Another thing I've been wanting to do for quite some time. I'll be honest, the formatting just seems sooo daunting compared to ebooks. I'm slowly picking it up, working on making a template, etc, but there's still a lot of work involved. I don't have a timeline as to when I want to get my books into print, but I would like it to be this year before I fall too behind on it, and end up having to do a dozen books at once. The Virginia Chronicles Books Two and Three - Number two in the series (The Rook) will definitely be out this summer. I was actually hoping for a late spring release, but I didn't want to stretch myself too thin. I'd also LOVE to get book three out by the end of the year. So how long will the series be? I don't know yet. I'm just a fountain of information, aren't I? ;) I could see it being an ongoing series that I can add to between projects since each book is mostly a stand-alone story (though following a chronological timeline). So it could run to 5 or 6 or even more books, but it really depends on if I feel inspired to continue the story and if there is more story to tell. I don't outline books ahead of time. I usually jot down the general idea and plot of a book and let the characters lead the way when I sit down to write it. That's why it's hard to know when a series will be over for good. I try to always stay open-minded to the possibility of sequels and spin-offs and such. Inspiration can strike at any time--it's funny like that. A Horror Trilogy (Titles TBA) - I have a horror trilogy I've been wanting to release for some time now, but it still needs some work, rewrites, edits. 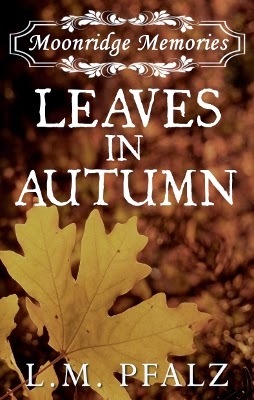 I'm hoping for a fall release in time for Halloween. I'd like the whole trilogy to be out by December. So, there ya go. Plans may change, but that should give you a general idea of what I'm working on and why I sometimes don't have the time/energy to blog. I'm terrible at keeping specific deadlines, because I never know when issues might creep in and spoil my plans. That's why I'm trying to keep my release schedule somewhat vague. I'm Baaaack...With A New Book Release! Hello to all who have stopped by this blog over the last six months or so. Forgive my absence. I don't like to delve into personal matters much, but suffice it to say a lot of the writing plans I had six months ago went kablooey when I fell into a pit of anxiety and depression. This is something I've struggled with since I was a child, and it comes and goes, but when it comes it tends to hit me hard. I was about halfway through a writing project I had intended to have released in time for Halloween, and as you well know, it didn't happen. I basically just went into hiding and avoided everything and everyone. This has always been my coping mechanism. Although my planned project involved a horror trilogy, I have placed that on the back burner for now, in favor of a new thriller series! 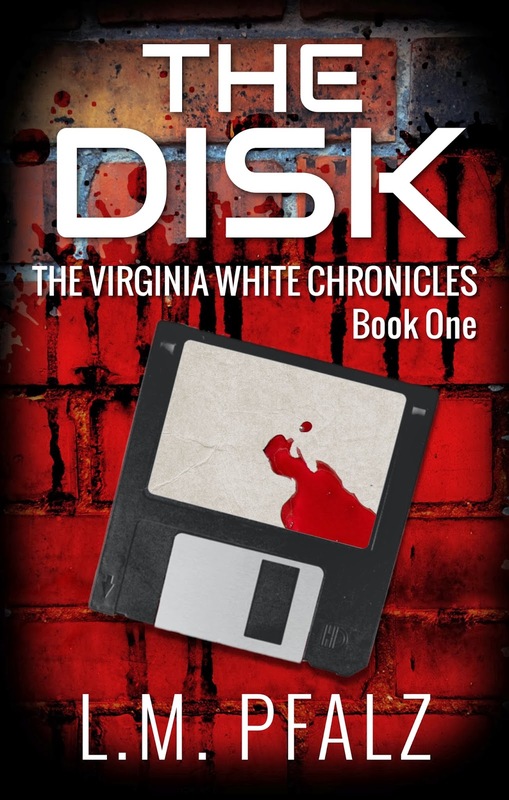 It's entitled The Disk, Book One of The Virginia White Chronicles. I'm really excited to be releasing my first thriller book! It's a vigilante justice book (I had no idea this was a subgenre until I went to publish, but it fits so well in the genre, lol!). It is gory and violent, but it's also a story of survival, not only physically but mentally. I know I said before I'd be venturing into horror--and I will be, honest!--but for now my plans are to focus on this series, and maybe release something horror later this year, maybe in the fall. 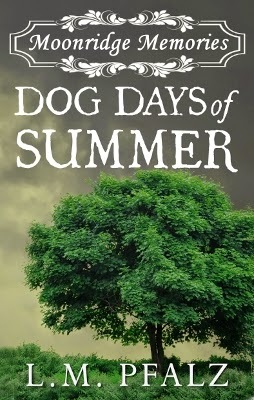 It should be available at Barnes & Noble, Kobo, and elsewhere within the next couple of weeks. Check back for further updates!